« No Deja Vu 4 U! I’ve now seen both the final Harry Potter movie and the new Captain America movie. I’m obviously not the first to notice that in each the antagonist has no nose. So. 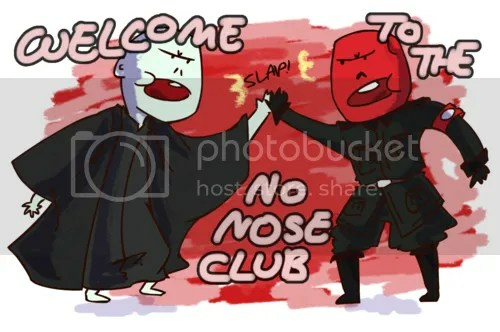 Are the bad guys evil because they are noseless, or are they noseless because they are evil? HMMMMM. I pondered this most-important subject this morning because I was lying in agony with another goddamn bladder infection and had little else to do. Both movies are allegories for the eternal/infernal war between the Crown and the Krauts, and as you know I’m really into watching it, trying my best to remain in observer mode. It’s so confusing sometimes I can barely determine who’s a Crown and who’s a Kraut. You’d think it would be bloody obvious, but it’s not. It’s not ethnicity or citizenship that sets these two factions apart; it’s their approach to herd management. I hope that makes sense, because otherwise the war would appear no more than petty bickering over two different approaches to socialism (reformist vs revolutionary). Actually the difference between the two factions is almost metaphysical. It’s a very very big deal and an awful lot is at stake. In both movies the Crown faction wins, and at the end we are relieved to discover each protagonist is not really dead despite the fact that he probably should be. Let that be a lesson to the Krauts, I suppose. Then again the Crown financed both movies, so there is likely more than a little bias to them. These two movies could mark the survival of, and triumph over, an epic assault on British-American social values and means of exchange, but as the Cherman faction says, ‘Fur uns ist der Krieg niemals vorbei.’ This war will never be over. There is no question (in my mind at least) that the British Fabian Society had a hand in the development of the Harry Potter series. 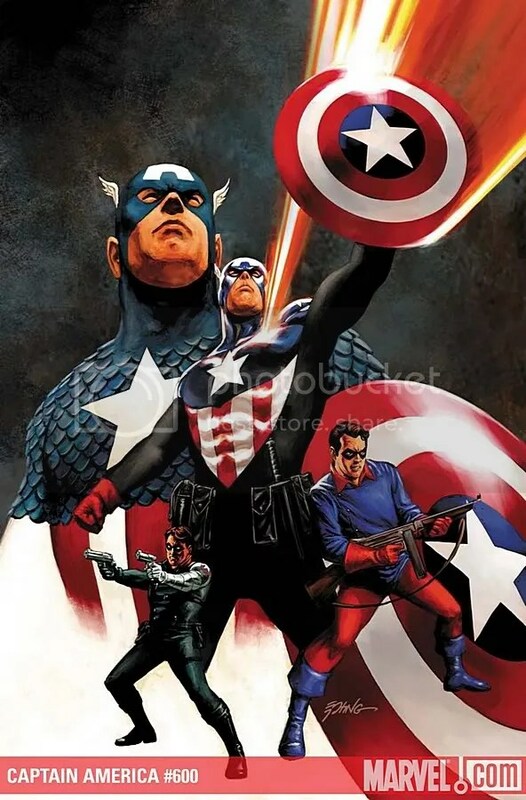 However, ownership of Captain America appears to have changed idealogical hands in 2009 from the globalist “New World Order” faction to more patriotic interests in the United States. 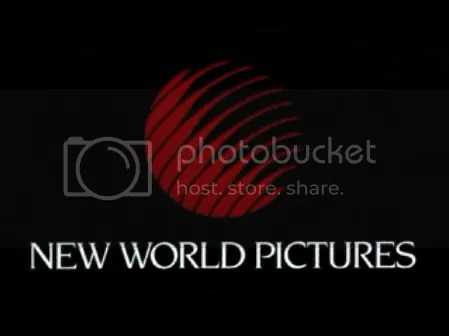 Marvel Entertainment, which owns the Captain America franchise, used to belong to New World Pictures, which morphed into New World Entertainment, which later became New World Communications. There were related companies/subsidiaries – New World Television, New World Video, New World Family Filmworks and New World International. Marvel became a division of New World Animation in 1993. Uh . . . Sensing an attachment to this brave “New World?” Uhm, yeah. Anyway, Captain America was assassinated by this “New World” order in 2007 (vol. 5, #25). However, the New World media companies are defunct today. Rupert Murdoch put most of what was left of “new world media” under its Fox umbrella, and in 2009 Walt Disney purchased Marvel Entertainment for $4 billion(!). Interestingly, Walt Disney was a founding member of the anti-communist Motion Picture Alliance for the Preservation of American Ideals. Kinda looks like Hogwarts, doesn’t it? Shortly after purchase by this most American company, Captain America was “reborn,” or, to be specific, found to not really be dead after all, just stuck in Time. The story of Captain America’s return to service is an obvious (to me) allegory to world events, such that I’m tempted to become a comic book geek. Anyway, back to the noseless thing. What does it mean? I can’ only venture a guess. Remember this guy? It’s the modern Peter Pan, the magical boy who didn’t want to grow up. Fearing the aging process is arguably a proxy for fearing death, and that’s the small thread I’m grabbing to drag him into my essay. Jackson used his talents to achieve his idea of “perfection” but the more he tried the worse things got. Inwardly focused, Jackson slid down a spiral of self-loathing as he forced one transformation upon himself after another after another, not knowing when to quit. He ended up with no nose: He had to have it reconstructed. He turned to drugs and predictably self-destructed. And now he’s dead. 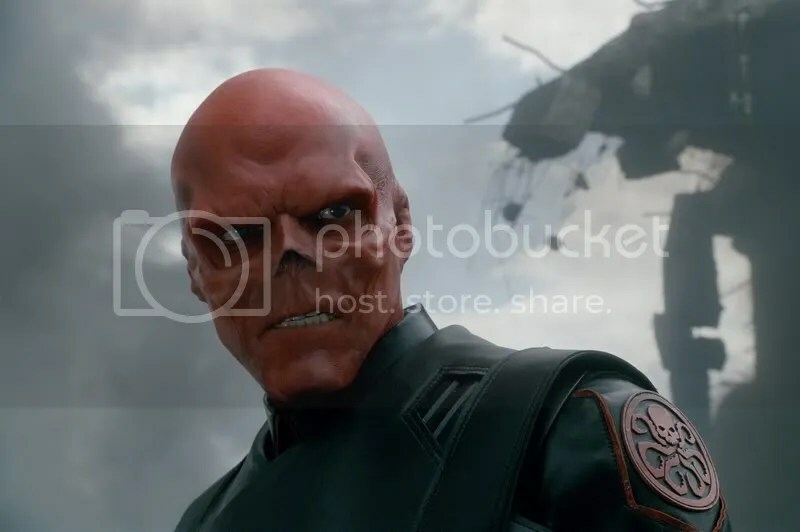 Voldemort and Schmidt/RedSkull (Cherman, ja, sicher) share similar fatal flaws, all stemming, ultimately, from their nihilism and fear of death. Both antagonists are drawn to the dark side of occultism and they abuse whatever power they can steal. Cut off from any sense of the Divine,* wanting to play God or even wanting to BE God, they repeatedly force physical and metaphysical transformations upon themselves, not knowing when to quit. 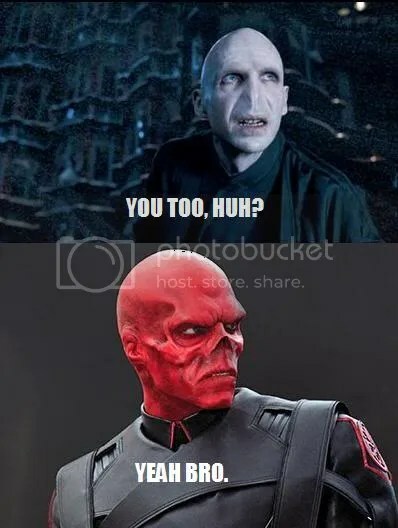 Neither Voldemort nor Schmidt has the character or moral strength necessary to manage their transformations, and somehow both of them lose their noses along the way. Perhaps their skull like appearances reinforce the “death cult” image. Meanwhile Voldemort and Schmidt attempt to mold the world into their personal utopias, societies of greatness where they would live as gods walking on earth. Not surprisingly, with the exception of their homogeneous minions, the world is repelled and fights back. 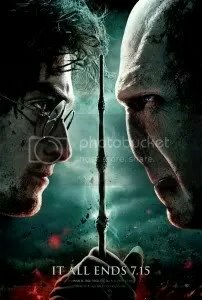 Consequently Voldemort’s and Schmidt’s resentments, stemming from their hatred of the difference between the way they thought the world ought to be and the way the world really is, degenerate into murderous rage. Each embarks upon a deadly rampage against the very people they tried to lead to paradise. The anarchist, the aesthete, the mystic, the socialist revolutionary, even if they do not despair of the future, have in common with the pessimist a single sentiment of hatred and disgust for the existing order, a single craving to destroy or to escape from reality. Collective melancholy would not have penetrated consciousness so far, if it had not undergone a morbid development. 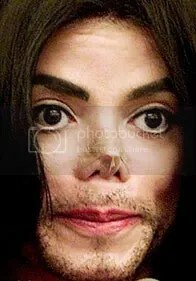 The movies’ antagonists are not inwardly focused like Michael Jackson, because that would have made for two really boring movies. Instead, Voldemort and Schmidt are outwardly focused: They project their rage at anyone or anything that irks them, including their own soldiers, and set out to destroy worlds that do not bend to their demands. They want to watch the world burn – hell, they want to set it on fire – so they may rebuild new worlds in their own images. 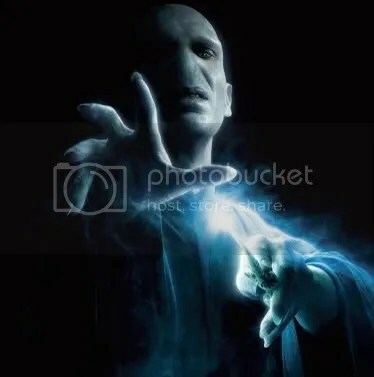 In that sense both Voldemort and Schmidt resemble Marxist idealogues. Marxist revolutionaries don’t want to “change” society; they want to destroy the old order to create a utopia. 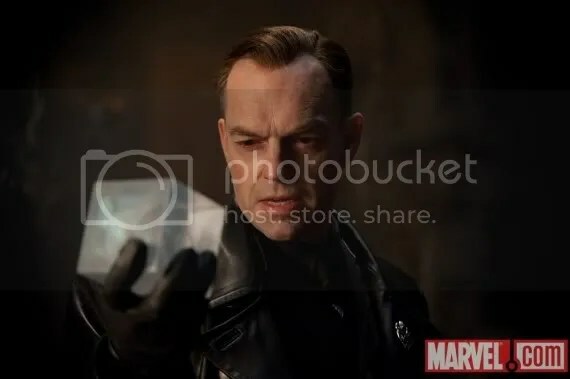 For the first time in my life – really – I wish I had the academic chops to expound upon the whole American-Brit-inspired Bad Guys = Nazis/Marxist/Nihilists meme in popular culture. Unfortunately I do not know enough about National Socialism, Marxism, Nihilism, or even philosophy to continue down that path. I find philosophical ponderings extremely self indulgent anyway, a sign of having way too much time on one’s hands. Consequently, all you’re going to get from me are myopic generalities and personal observations. I’d wager volumes have already been written about the Brit-Celt /Teutonic-Slavic philosophical divide(s), and today I wish I could get my mitts on a few of them. 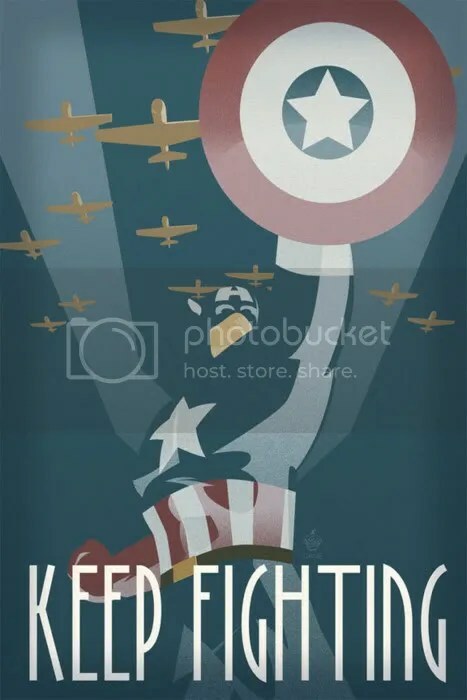 I will, however, go out on an opinionated limb (this being my self-indulgent blog) and suggest that both the Harry Potter and Captain America movies are Crown Faction social commentaries against the Kraut Faction. They present British-American social values as being superior to those of their more collectivist-revolutionary-authoritarian European neighbors. From watching the fray I know the Krauts almost nailed them this round, but somehow the Crown prevailed, this time by initially playing possum. Then they put their feet down hard at the 11th hour. 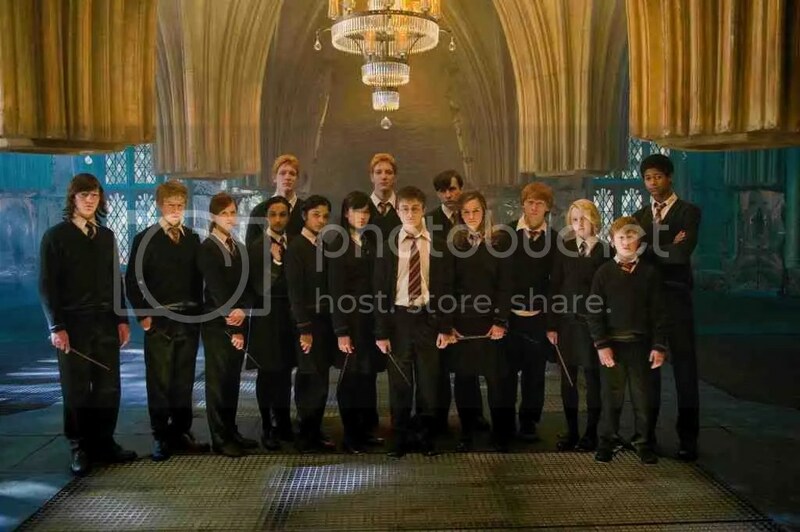 It wasn’t just the U.S. military, represented by the oh-so-American Steve Rogers (Captain America), or the white-hatted British secret societies represented by Hogwarts,* that won the day for the Crown. In American-Brit belief systems Providence favors the righteous and the good, and there is a Divine Force to whom all are accountable, including their royals and elites. To the revolutionary-marxist-nihilists, however, God is Dead. There is no karma, no higher meaning, no morality nothing but the raw use of power to force an (ironically) moral stance from a top-down central authority. It’s their fatal flaw, the one that consigns them to loser status time and time again. 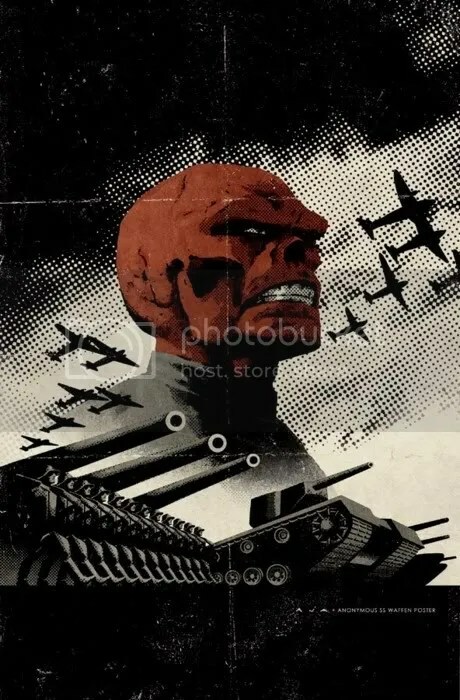 Since they reject the Prime Super-Soldier it should surprise no one that “God is on our side” takes on literal meaning. So, how are the Krauts reacting to their defeat? You see, that’s the nature of the beast: The collectivist-authoritarians can’t help themselves, and they don’t know when to quit. Teutonic personalities in particular don’t know when to quit. The most you’ll get from the Kraut Faction is the occasional Rumplestiltzkin-like temper tantrum, a nihilistic implosion, and unfortunately those tend to be destructive and deadly. Will they end up without noses? Maybe they’ll just cut-em off and say “So THERE!” We can only watch and wait. *It’s not a question of “believing in God” or not believing, because plenty who say they believe in God are similarly disconnected from Divine Source, Descarte’s “Seat of the Soul.” The disconnect could be the result of a nonfunctioning pineal gland. ** There is an American Hogwarts. Really!